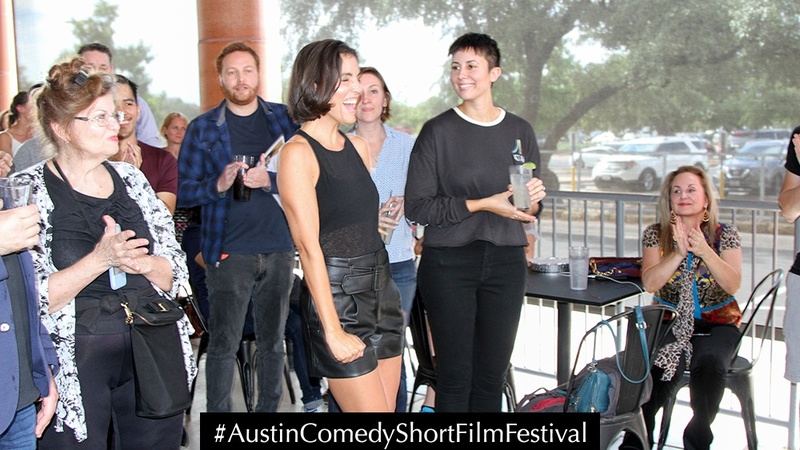 What Is The Austin Comedy Short Film Festival? 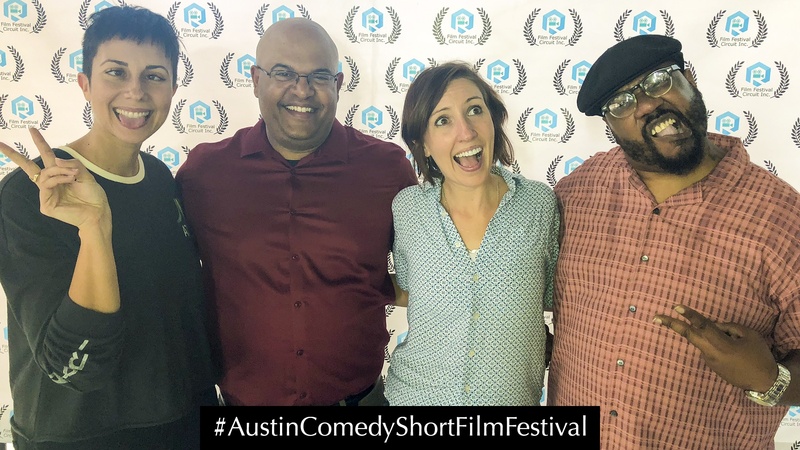 The Austin Comedy Short Film Festival screens short comedy films, funny music videos, web series episodes, comedy television pilots, as well as, mockumentary films. 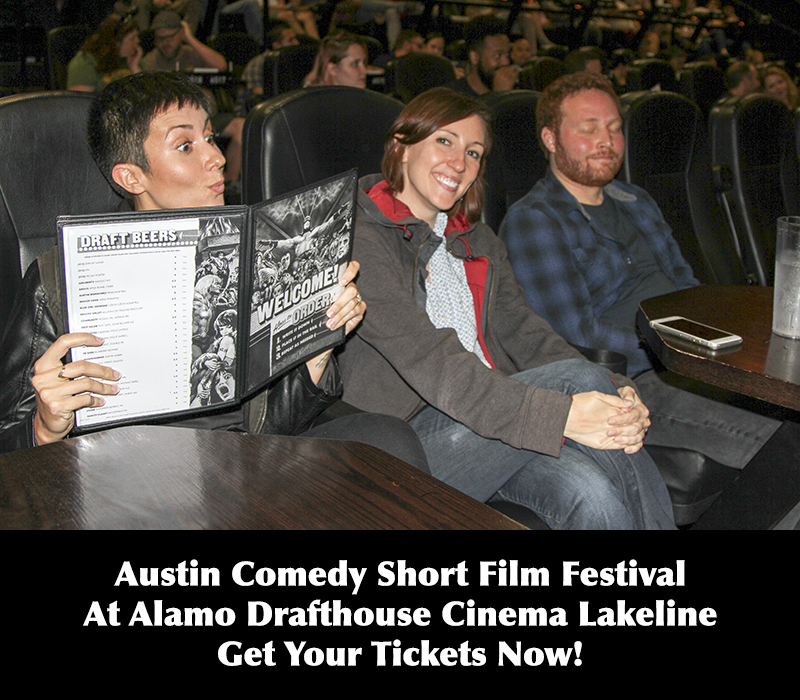 These films are created every year by independent filmmakers from around the world, looking to have their creative work screened at the Alamo Drafthouse Cinema Lakeline. 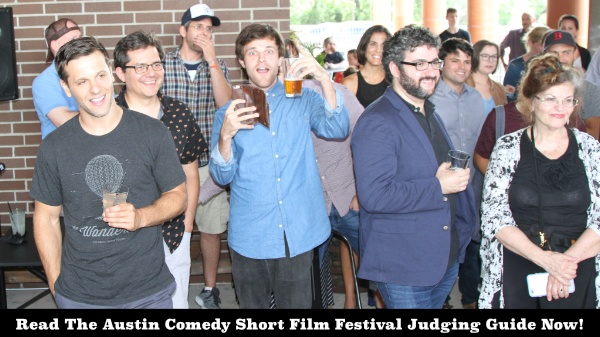 #AustinComedyShortFilmFestival #FilmFestivalCircuit. 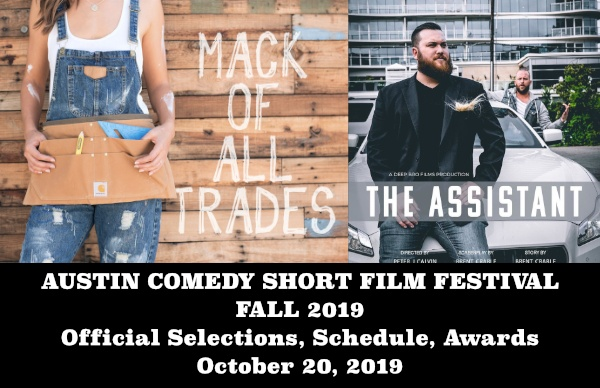 Please check out the recap from our last event on the Austin Comedy Short Film Festival Fall 2018 event page. 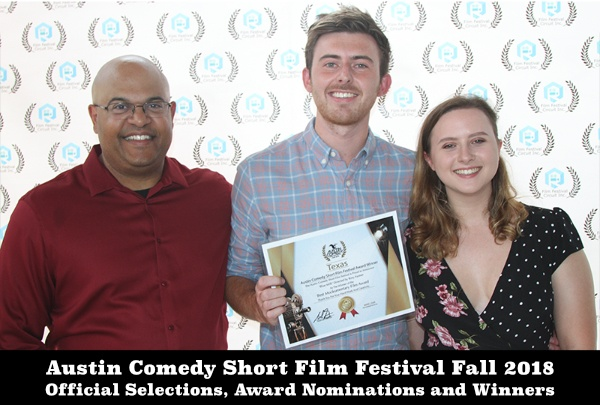 Do you have a comedy short film, music video, web series episode, sitcom, mockumentary, animated film, dark comedy film, sketch comedy or romantic comedy film that you're sending to festivals? Have you written a comedy screenplay with funny situations, engaging characters, clever concepts and great dialogue? 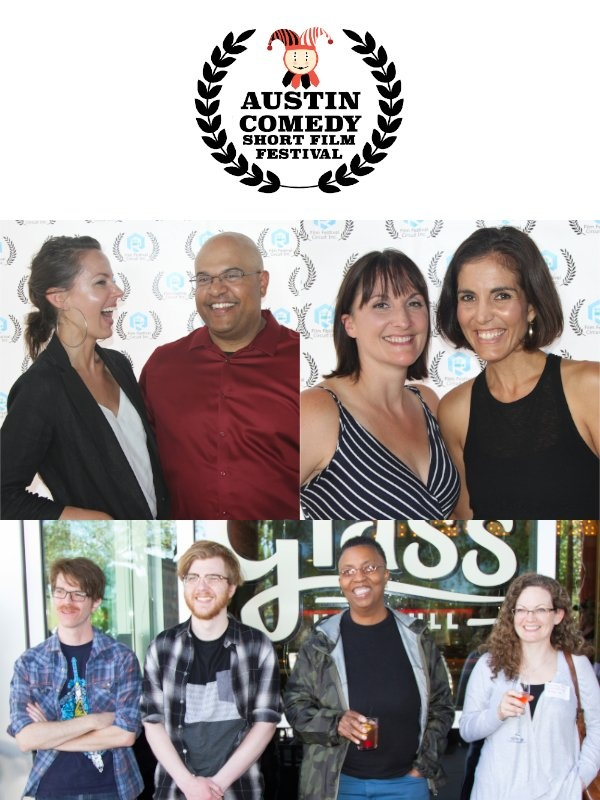 You can submit to the Portland Comedy Film Festival via FilmFreeway, Withoutabox and Festhome. We are fortunate to be rated in the Top 100 film festivals by filmmakers worldwide on FilmFreeway in October 2018! We have fun, we laugh and we appreciate funny films in Portland. It's all about the filmmakers and the screenings. 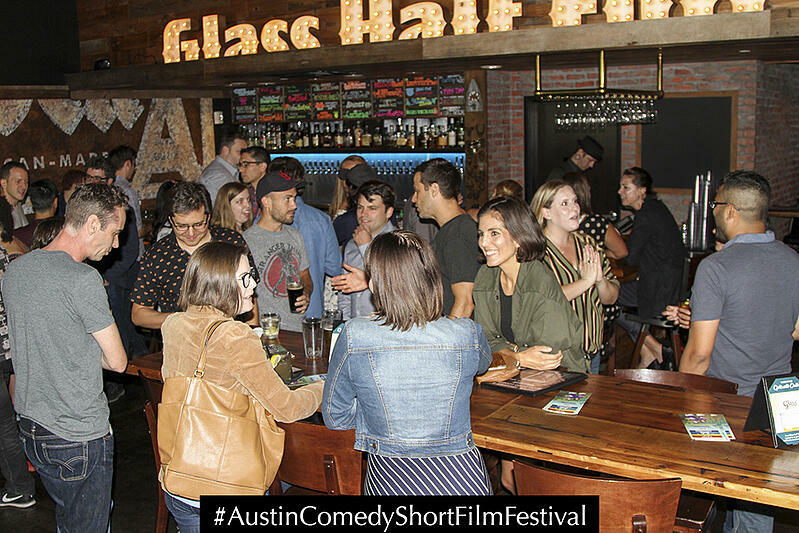 The Austin Comedy Short Film Festival strongly believes in giving every filmmaker possible, an opportunity to share their creative work in a comedy environment. Thank you for your support. Have you read our article about Withoutabox closing its doors, after more than 10 years of connecting filmmakers with Film Festivals? 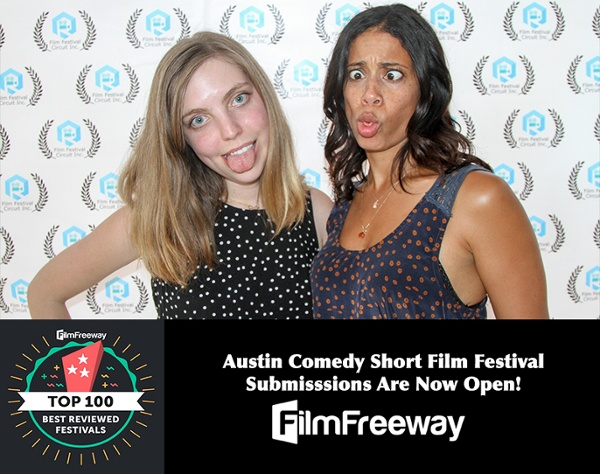 The Austin Comedy Film Festival has been listed on Withoutabox since 2015 and we are sorry to see them shut down. Our submissions are still open until February 28, 2019. You can get a 25% discount on your submission via Withoutabox using promo code acsff25. How Do We Select Comedy Films? No secrets here. Our judges can't wait to watch your videos and read your stories. Please read our Comedy Film Festival Judging Guide if you'd like to understand our how we rate and select comedy films. We make the process as fair and objective as possible. No politics here, we're just looking for the funniest and most creative works that we can find, to entertain our audience.